Versa is a leading service company. We provide a wide range of specialty services related to the maintenance, inspection and construction of mechanical and piping systems. Versa’s success depends on skilled and committed employees, which we consider our partners. Our organization supported by the industry’s best training, equipment, technology, and technical support. Versa recognizes that our success is ultimately a result of our customers’ trust and confidence. This is earned through continuing outstanding service and our overall quality of our products. 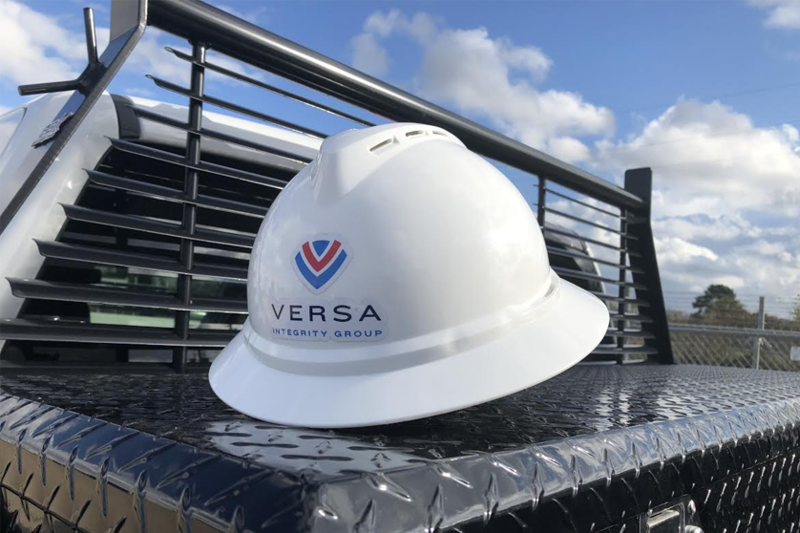 If you would like to work for a company which believes in a Culture of Safety, Pride and Integrity, VERSAtlity, Optimizations of Services and Technology, Employee Focused, and Family Oriented; we encourage you to review the job opportunities available at Versa. Apply today! We will instill a conscience of safety in each employee that will be at the center of everything we do professionally and personally. Our goal is to create a World Class Safety Culture that protects our employees and sets us apart from our competition. Versa takes pride in each service we provide for our clients. We will be VERSAtile in providing an innovative range of services that our clients can rely on for a complete inspection and asset integrity solution. Versa will continually research and develop new avenues of expanded services and technologies to exceed our client’s total expectations. We believe our employees are our most valuable resource, and we will continually invest in training and professional development to ensure a safe and employee centered work environment. Integrity is our middle name! Versa offers a fresh perspective in our industry. We focus on the customer-centric personal touch relationship, that is vital to this industry. We pride ourselves on learning our clients, our employees and how to maximize those relationships. We are looking for employees that want to invest in themselves, so we can invest in them. We are looking for hard working men and women that want to come up through the ranks and grow something within themselves in a growing organization. Our Versa Steps to Success will show you wage ranges and the amount of OJT you need to advance to the next level. We are focused on making a better environment for you and your family. We should always be growing and innovating. We want to provide proactive solutions for our clients. We have the best employees in this industry and the support staff behind them with supervision, leadership, investment in software, and digital solutions. Since 2013 our company revenue has grown by at least 20% every single year. In 2018, our revenue will exceed $100 million. We will not stop; our revenue growth has been phenomenal over the past couple of years. We will never lose that focus, because that makes us who we are, Versa The Unified Solution.